Ella Pamfilova became CEC head in March 2016. With parliamentary elections due in September, the Kremlin is keen to avoid a repeat of the vote-rigging in 2011 that resulted in large-scale street protests, and has implemented several measures to ensure the process appears honest and transparent. The campaign for the upcoming elections to Russia’s lower house of parliament, the State Duma, is up and running, and if official statements are anything to go by, this time the elections, which will take place on Sept. 18, should at least have the appearance of an honest and transparent process. "You understand how important it is that this campaign is conducted without violations," said Russian President Vladimir Putin, while newly elected head of the Central Election Committee (CEC) Ella Pamfilova has said that the process “will not be the way it was before," and has promised to resign if there is a repeat of the situation in 2011, when vote-rigging by the authorities led to mass protests in cities across Russia. Such preoccupation with legitimacy is understandable: The electorate, overwhelmed by the economic crisis, is already quite angry. Today the last thing the government needs is a repeat of the 2011 protests. And whether or not it really wants the transparency or merely the appearance of it, the Kremlin has already done a lot to achieve this objective. Perhaps the Kremlin's most symbolic move was to replace the CEC head. It was obvious that people would have difficulties believing the election if the committee was headed by its previous chairman Vladimir Churov, with his rather ambiguous reputation. Churov has been replaced by former chairman of the Civil Society Institution and Human Rights Council Ella Pamfilova, who was immediately dubbed "the chairman with a task." Pamfilova, who became CEC head in March 2016, has already canceled local elections in the Moscow suburb of Barvikha – scheduled for April 24 – after allegations of widespread electoral fraud. Pamfilova has stressed that the September vote will not be like in the one in Barvikha. However, political analysts believe that she may become a headache for the government. "She wants to be a more independent figure than Churov and is now rearranging the CEC hierarchy to suit her needs," explained Pavel Salin, director of the Center for Political Studies at the Financial University under the Government of the Russian Federation. The reduction of the State Duma election threshold for individual parties from 7 to 5 percent is another step that the government has taken to relax the political atmosphere. Unfortunately, the initiative was made not before the 2011 elections but afterwards, when the government needed to remove the people from the streets. Can Russiau2019s ruling party restore its reputation ahead of the elections? In the current situation the lowered threshold is theoretically supposed to help new parties enter the State Duma. Today in Russia, even compared to the beginning of the year, the number of people who are interested in the elections is steadily falling. And out of those who will be casting their vote, one in two will vote for the ruling party United Russia. Consequently, the chances of non-parliamentary parties receiving a mandate are not high. In the best case this will be just one party and this party may even be beneficial for the government, says Konstantin Kalachev, director of the independent Political Expert Group. "Whether it is the democratic Yabloko party or someone else is not important. What is important is that a new player would enter the Duma and this would help legitimize the result," he said. The electoral system itself has been somewhat reformed. Instead of proportional representation, Russia has switched to a mixed type. Half of the candidates will be on party lists, others from single-member districts. In such a way the campaign will take place without excessive distinction for party branding and the main battle will be among specific individuals. The single-mandate candidates are more independent from the government than those on party lists and they will have to be taken into consideration. This is competition and wherever there is competition there is intensified control of the procedure's transparency, according to Kalachev. 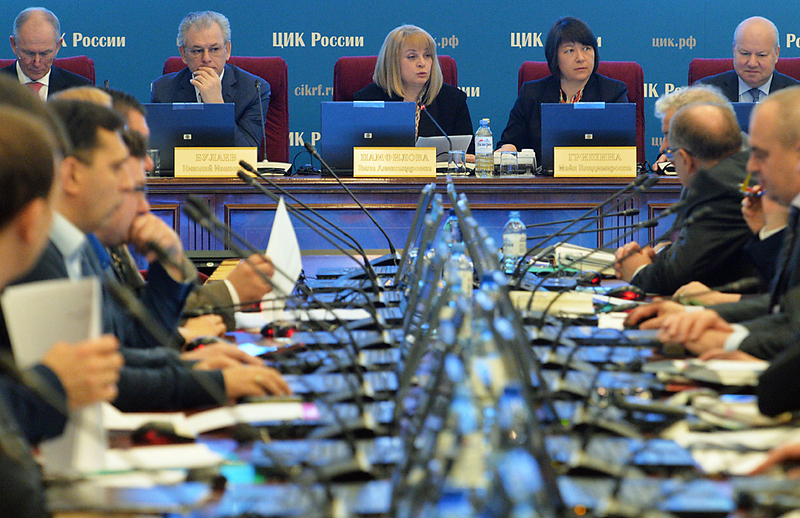 This year the State Duma has introduced a new norm: All candidates will be obliged to appear in election debates. Unfortunately, there is little interest in this in Russia. The ratings of political debates on state TV channels are usually much lower (at least twice as low) than the average for a talk show or a TV series. "This is still not part of our culture," said Pavel Salin of the Center for Political Studies, who says that this new electoral standard shows that the government intends to maintain a close relationship with the public. The United Russia party even held an all-Russian primaries in 2016, a first in Russian electoral history. The other parties decided not to organize a rehearsal of the elections and therefore gave the ruling party a competitive edge. There is a certain calculation in conducting primaries: They remove any question of shady practice where the formation of party lists is concerned, say experts.